Our final BIG TICKET DAY pick in The 2018 PopCult Gift Guide is a rarity…it’s a gift suggestion that you won’t be able to wrap. I’m suggesting, as the perfect gift for the die-hard fan of DC Comics on your holiday shopping list, The DC Universe streaming service and web-channel. This is the new streaming home of Batman, Superman, Wonder Woman and their friends and enemies. DC Universe is a video on demand service operated by DC Entertainment and Warner Bros. Digital Networks. It was announced in the spring, and launched in beta in August, with the official kick-off on September 15. 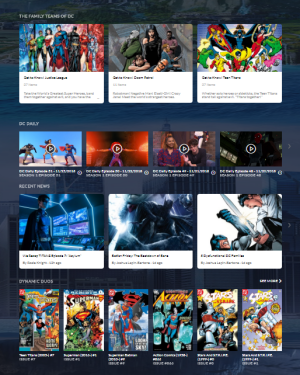 The service includes original television programming, access to select animated series and films from DC’s back catalogue, a rotating selection of comics from DC Comics, forum discussion space, and a merchandise store. A one-year subscription can be had for seventy-five bucks until the end of the year. It’s a fun show if you completely ingore all previous incarnations of Teen Titans, and consider it as a grim and girtty, “Elseworlds” version of the young super hero team. Once Titans wraps up its run, DC Universe will roll out new episodes of the long-awaited third season of the animated Young Justice. By the time they get to the end of those episodes, viewers will be treated to new live-action versions of The Doom Patrol, Harley Quinn, Stargirl and Swamp Thing. 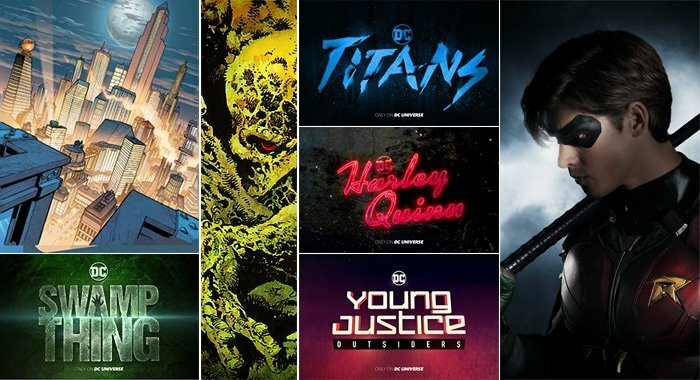 Some folks have griped about the way DC Universe is releasing these show, since they’re somewhat spoiled by Netflix dropping entire seasons of shows all at the same time, but this is a good hook to get people to come back and engage with DC Universe on a regular basis. It’s not just new shows, though. 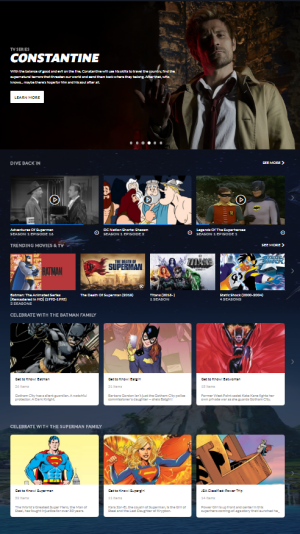 DC Universe subscribers also have access to most of the DC Animated Universe, with Batman: The Animated Series, Superman: The Animated Series, and both incarnations of The Justice League. They also have the George Reeves Superman series from the 1950s, Lynda Carter’s Wonder Woman, and the Superman movies starring Christopher Reeve. There are all sorts of great finds in the video library, including Super Friends, The 1990 Flash series and loads of animated movies. There’s also DC Daily, which brings you news of DC Comics and the DC Universe channel every day, with interviews and panel discussions featuring people who weren’t born yet when I started reading comics. And that’s just the video. If you are inclined to read comic books online (your PopCulteer is not), then you can access a pretty impressive selection of DC Comics in digital form. Ranging from Golden Age classics to Silver Age revivals and up to today’s stuff, you can read these comics on a tablet or phone or your computer, or just sit real close to the TV. DC Universe also offers forums, just in case you don’t have enough places to argue about comic books online, and they have a webstore, which is not really much of a selling point. Overall, I’ve found DC Universe to be a fun addition to my Roku. Despite cringing a bit at the excessive violence and language, I’ve found Titans to be enjoyable, and I am really looking forward to Young Justice, which begins in January. Having access to the DC Animated universe is almost worth the price by itself, and if I ever get around to buying a tablet, the comics may come in handy. It’s a great gift for the DC Comics fan on your shopping list, and maybe you can print something out to wrap and stick under the tree. You can sign up for DC Universe HERE, and take a look at the trailer below to see if it looks like the right fit for your comic book fan (warning, not for Marvel Zombies).